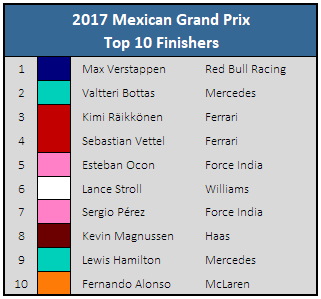 Lewis Hamilton only needed a fifth-place finish or better at the 2017 Mexican Grand Prix to secure his fourth Formula One World Drivers’ Championship. Given that this has happened only once throughout the entire season so far, it was an unlikely event—but for a moment, just a moment, it seemed as though the stars would align for Sebastian Vettel, Hamilton’s rival in the championship. Vettel and Max Verstappen, who had qualified on the front row, arrived side by side at the first corner of the first lap. Verstappen got past in the second corner, but not without first taking a piece of Vettel’s front wing with him. Hamilton leapt on the opportunity to get by, but had to lift off—which, it’s important to note, causes a Formula One car to decelerate faster than the car in your garage is capable with the brakes fully applied—to avoid getting his own front wing clipped by Verstappen. This caused Vettel to make contact with Hamilton’s rear tire, puncturing it. For Vettel’s slim title hopes, this was a good thing. However, it also caused him to lose more of his front wing. Not so good. Thus both championship contenders were forced to make an early pit stop. Vettel came out 19th and Hamilton 20th, the latter a whole 14 seconds behind the former. But it didn’t matter. Vettel needed to finish at least second, regardless of Hamilton’s finishing position, to keep his championship hopes alive. 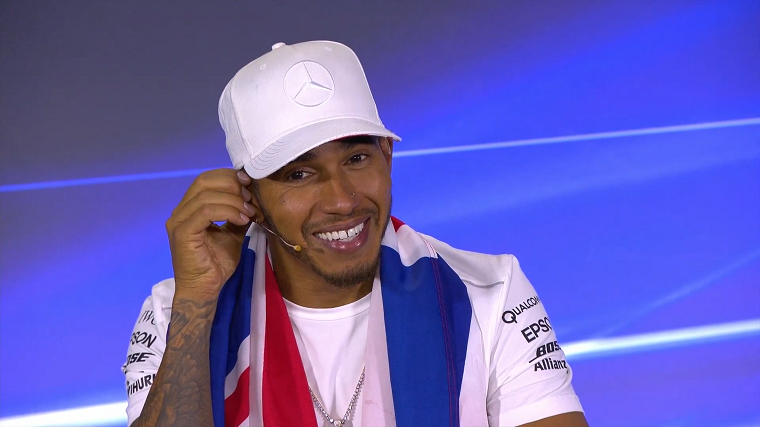 And though he managed to finish fourth, an impressive 60 seconds ahead of Hamilton, it wasn’t enough. Verstappen, meanwhile, raced to his third career victory, continuing the pattern of winning races immediately after Red Bull demotes Daniil Kvyat in some way. He was joined on the podium by Valtteri Bottas and Kimi Räikkönen, both of whom seemed to want to be there only for the champagne. 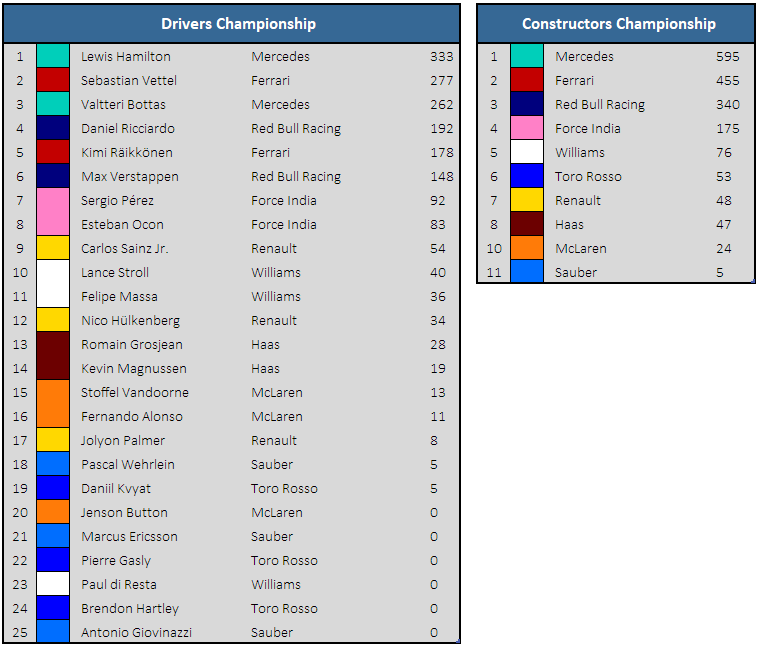 With the conclusion of the Mexican Grand Prix, the constructors’ championship has been sealed between the top four teams. That leaves us with an excellent midfield battle to watch over the course of the final two races. Williams seems likely to take home fifth place, but the battle for sixth is very tight between Toro Rosso, Renault, and Haas—as well as the battle between their drivers.